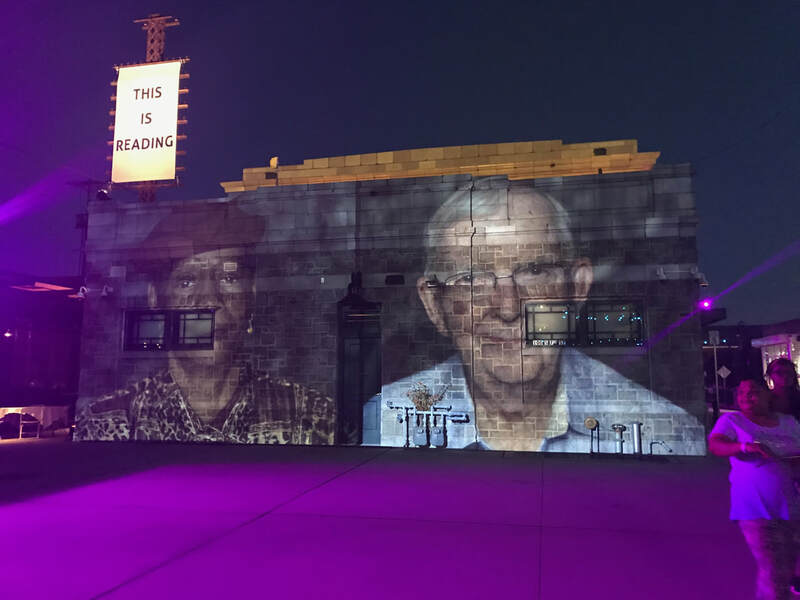 This Is Reading, an ambitious site-specific multimedia installation blending live performance and visual media, occupied the historic Franklin Street Railroad Station in Downtown Reading in May 2017, re-animating the long vacant building. Using as its foundation, the hardships, challenges, and triumphs of people living in and around Reading, PA., This is Reading weaved their individual stories into one cohesive and compelling tale of the city. This Is Reading was co-created by an award-winning team of artists, including filmmaker Tony Gerber, director Kate Whoriskey, Choreographer Rennie Harris, Composer Kashaka, projection designer Jeff Sugg, set designer Deb O, Lighting Designer Amorth Chandrasker, Sound Designer Nick Kourtides and producers Jane M. Saks, Blake Ashman-Kipervaser, Allison Bressi and Santo D. Marabella.